There is a lot to be said for a psychological edge. But then again, there is as much to be said for failing to perform, despite having started strong. 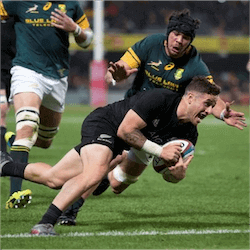 This was – sadly – the reality facing the Springboks on Saturday in Albany at the QBE Stadium when they suffered the most humiliating defeat to date against New Zealand’s All Blacks: 57-0. Ironically, Alistair Coetzee’s boys had gone into the match unbeaten after six games. 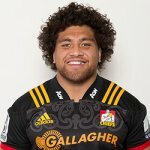 Even more ironically is the fact that New Zealand had managed exactly the same number of points as the previous slaying of the South Africans at Kings Park during last year October – only that time the Boks had at least managed to put 15 points on the score board. 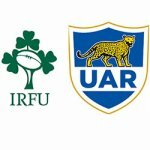 How does a previously renowned World Cup quality side manage to work its way through all of 80 minutes without a single point’s worth of relief? Beating the All Blacks is very much a psychological war. The fact is, once they have gained momentum there is just no stopping them from that point onwards. The key is to prevent that from happening right from the start. 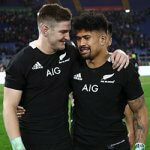 The New Zealand side probably picked up on the smell of looming defeat from the onset – as Elton Jantjies failed to convert a penalty into points when 10m line effort fell dismally short. It did not stop there for Jantjies. The nightmare continued as he and halfback combination Francois Hougaard battled to get their game on for the remainder of the brawl – making one poor decision after the next. It wasn’t even a question of a lack of territory, either. In fact, the Boks had made their way into the All Blacks’ half more than a couple of times – even treading soil at 22 – but it always ended in the exact same scenario: failure to execute what they had started. It would either be a ball lost as a result of a contact knock-on or a limp-handed pass resulting in the ball ending up back in All Black hands – whatever the scenario, it ended in the same result: re-possession of the ball by New Zealand. 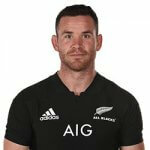 The ultimate author of his own demise was flank Jean-Luc du Preez who conceded a much-needed try in the 21st minute of play by delivering the ball straight into the hands of Nehe Milner Skudder’s hands right on the 10 meter line of the All Blacks. This was, unfortunately, a very true depiction of the entire stand-off. The rest, as they say, is history, and if you didn’t get your bets in for this game at Crownbet, fear not, as there are plenty of other upcoming games.